I recently received Scott Schuman’s book The Sartorialist (yes I know I’m a little delayed) as a gift from my fellow blogger J . This book quickly became my bible . Scott established The Sartorialist to create a two-way dialogue about the world of fashion and its relationship to daily life . I love his perception and analysis of one’s outfit – his ability to identify intricate style details is phenomenal, just like that of Bill Cunningham . It is human nature to make assumptions however this book educates one to perceive others in a different light . perhaps there are contributing cultural or sentimental factors to ones outfit – those of which you wouldn’t know unless you asked . take this photo for example . Talia frequents the races so one would assume this is just another hat she owns upon the thousands in her collection . This hat was given to her by her nan which at the time resembled a a disc of straw and a bow . with a bit of nurturing she was able to restore the vintage piece to its original condition . though it is a beautiful piece, what stands out the most are her eyes . If you stare a little longer you would almost mistaken them as vintage instead, the story behind them is rather captivating, but a mystery to most . 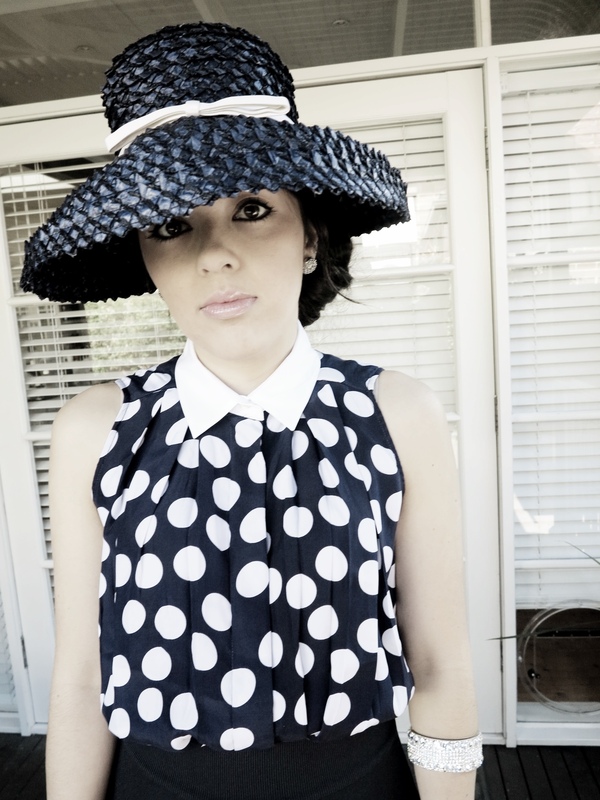 Talia wears vintage hat, silk shirt by Sandro, rings by Marc Jacobs & Folli Folli, earrings by Mimco, bangles by Peeptoe .